Darjeeling MP S.S. Ahluwalia today alleged that the state government did not want to attend a tripartite meeting on the GTA before the Assembly elections because it had failed to keep the promises in the accord for the hill autonomous body. He added that the state wanted to stay away from such talks as it might have to face "uncomfortable questions". "The state is not willing to attend any tripartite meeting on the GTA ahead of the Assembly polls. The only reason behind such reluctance is that it has failed to fulfil the promises made while signing the GTA agreement on July 18, 2011," the BJP MP said at a news conference in Matigara, on the outskirts of Siliguri, today. 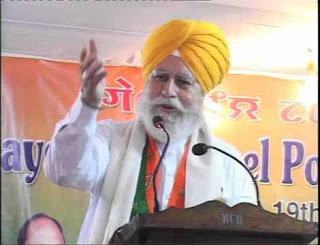 Ahluwalia's comment comes at a time a tripartite meet, which was scheduled in New Delhi for tomorrow, has been postponed. The last round of talks was held on January 29, 2015, and since then, this is the third time that the tripartite is being deferred. According to Ahluwalia, there are at least 30 commitments in the GTA agreement that have not been addressed by the state. "Nothing has been done by the state in the past four years. Now that the Assembly polls are round the corner, Trinamul, which is running the state government, is apprehensive that if these issues are raised during a tripartite meeting, the state representatives would have to face uncomfortable questions from the central government and those in the GTA," he said. "It might pose a fresh problem for Trinamul, as leaders of the party often blow trumpets saying how much the state cares about the Darjeeling hills. To avert such a situation, the state is shying away from attending tripartite talks," he added. Ahluwalia said: "There were some important promises , like establishing super-specialty hospitals in all hill subdivisions, a sainik school, a central university and development of the national highway. Although four years have passed since the agreement was signed, nothing has been done except creating the GTA. The state, instead of transferring the projects under central schemes to the GTA, is retaining them." Yesterday, Gorkha Janmukti Morcha president and the chief executive of the GTA, Bimal Gurung, had said they would highlight the "autocratic attitude" of the state at the proposed tripartite meet.